The creation of an incident response plan alongside a cyber insurance policy is the most effective way a small business can protect itself from a cyberattack, whether it’s ransomware, malware, viruses, or another malicious attack. Of course, developing an incident response plan is only the first step, as it must be tested multiple times to ensure there are no security vulnerabilities. An IT provider should schedule these tests on a frequent basis, whether on a weekly or bi-weekly testing plan. These tests can help an IT provider identify any particular weaknesses, which can give them guidance on providing security updates and repairing any vulnerable areas. Another way an MSP security company can offer additional security is by asking for feedback from each client. While many clients may be satisfied with your services, other clients may have concerns that need to be addressed. Always having an open line of communication with clients will ensure that everyone is working together and on the same page. Continual feedback will also improve relations and help you provide superior customer service that will keep your clients protected and transform your company into a leading IT provider. The IT world is always changing, and it’s critical to issue patches on a regular basis, or you risk falling behind and becoming quickly outdated. Staying on top of cyberattacks will allow you to create effective patches that protect your clients from harm and can set you apart from other IT providers. Each of these updates should have patch notes detailing all of the changes, which helps the client understand the services you provide and the need for downloading the latest security patches. As you can see, an MSP security company that provides the highest levels of security will boost relations with clients and help them sleep much easier at night. 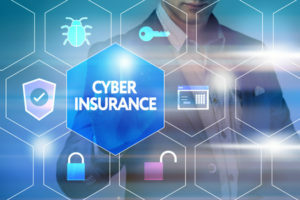 Many businesses are purchasing cyber insurance due to the increase in cyberattacks and it’s important to prove that your IT services can protect them from these vicious attacks better than the other guy. As you know, cyberattacks will only continue to grow and become more sophisticated, and it’s imperative that an IT support company stays focused on counteracting these threats and keeping clients protected. Continually providing excellent service will improve client relations and boost your reputation in the IT field. Striving to be the very best IT support company is a win-win scenario for everyone and will help set you apart from other IT support companies by providing the ultimate cyber security protection.